I have often thought about what it must have been like the day before that first Christmas. Mary must have been exhausted. She was just hours away from giving birth, and it had been a long trip. Did she ride the whole way on that little donkey? Did she walk sometimes, just to ease the ache in her lower back? How often did they find a place where she could stretch out on the ground, wrapped in her robe, and try to sleep a bit? 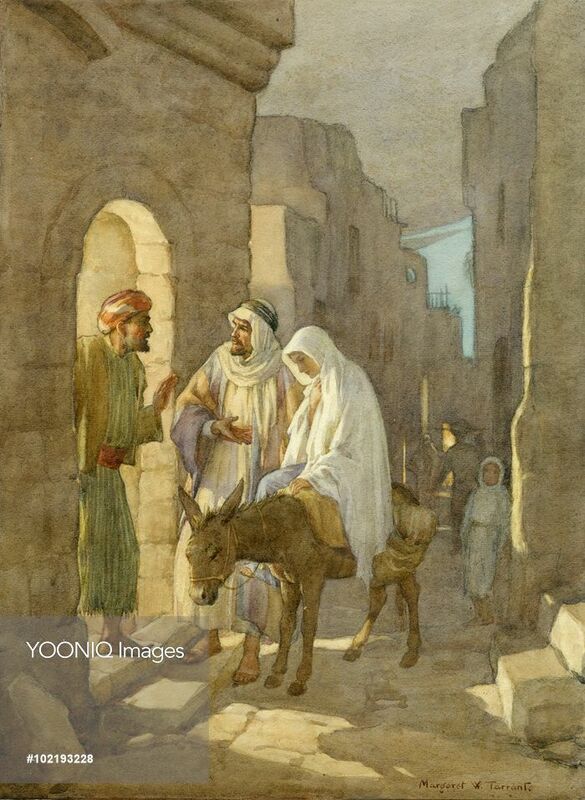 When they got to Bethlehem and saw how crowded it was, did Mary sigh with weariness? Did Joseph wonder if they would have to sleep in the fields with the shepherds? Did he feel the weight of responsibility for this miracle baby of which the angel had told him? Was he struggling to believe that Mary was pure, untouched? But instead he protected her and cared for her and the child. Mary’s time had come. The pain in her back became more persistent. She was so young, and I’m sure she had talked with her mother and her Aunt Elizabeth about what to expect. Still, having that first baby is a time of excitement along with anxiety. How long did she labor? Maybe not too long, since shepherds came to visit that same night. I hope it was an easy birth. None of the women in her family were there, as was customary. And the Father, the Creator of life, Who had given her the privilege of carrying His Son. When it was over, she wrapped her beautiful Son in the swaddling cloth she had brought with her. Cleaning Him, she gazed in wonder and profound awe at His perfect little face. The first people to see Him, aside from Mary and Joseph, were just ordinary men. Shepherds who worked outdoors; who tended sheep. When I saw your name on my comment notifications, I was pretty sure there was music coming 🙂 And by the way, this is a great favorite of mine. Thanks Linda. A wonderful rendering. The great event included much necessary discomfort for Mary and Joseph, so indicative of a proper spiritual life. Merry Christmas. Thanks, RJ. To you as well.